If there hadn’t been a global war for survival taking place, Major David Stirling is the type of British Officer who would have been thrown out of the army, if not court-martialed. As fate would have it, this rogue British Officer with a taste for action would found the famed British SAS and leave a legacy for one of the greatest clandestine fighting forces to enter harm’s way. Never mind that he broke into British Middle East Headquarters and ambushed a General with his plans for the SAS to gain approval,forget the fact that he raised the original SAS crew from a band of misfits and soldiers with disciplinary problems, and let’s not mention the fact that he stole half of the gear he needed from fellow Allied units. As the famed military saying goes, gear adrift is a gift, and Major David Stirling was simply one who knew how to open a gift. Without him, there would be no SAS, but thanks to him, enemies of Great Britain have every reason to sleep with one eye open. 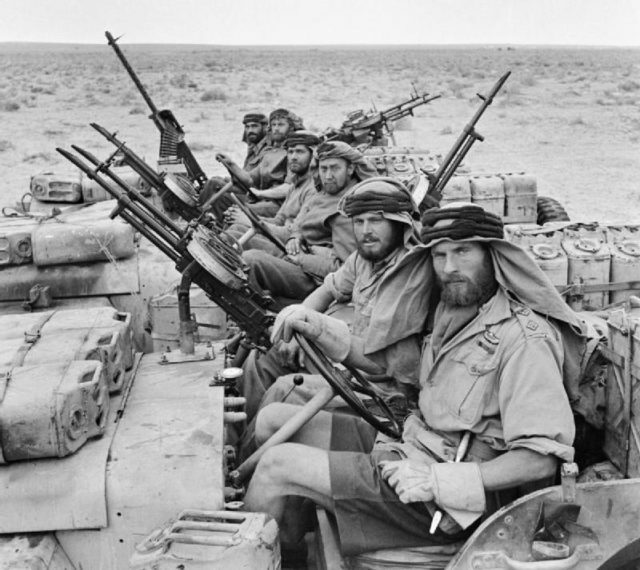 SAS men on patrol in North Africa. 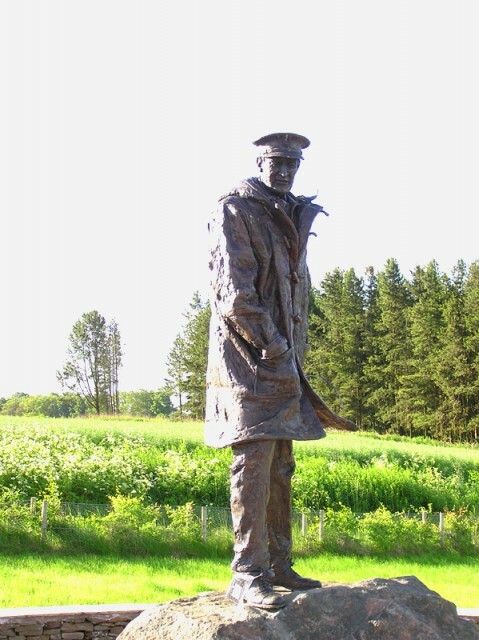 David Stirling was born in 1915 to an aristocratic family in Scotland. Stirling would display early on a heart for adventure and a joy for breaking the rules. While in college, he was dismissed for gambling and drinking before deciding that his life’s calling was to train to climb Mount Everest. 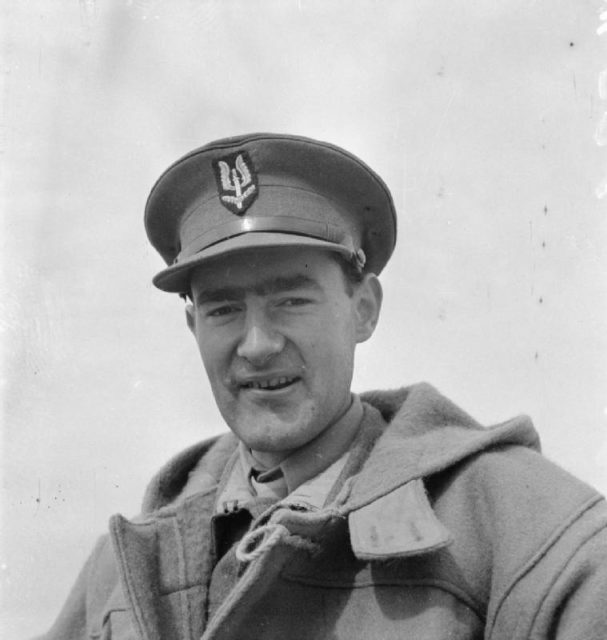 During his training for the climb, World War II broke out and David Stirling decided to join the Scots Guard in 1939. However, this career almost ended early when after a late night out he fell asleep in an officer’s class and was almost thrown out of the military by the instructor. But he would have a fateful rendezvous with this instructor later in the war that would prove remarkably instrumental in creating the British SAS. In 1940, he volunteered for the No. 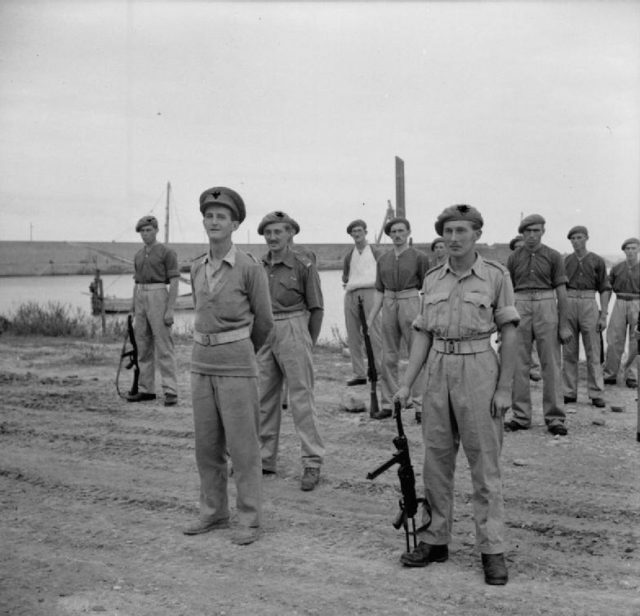 8 Commando unit and was deployed to North Africa in August 1941. But almost as soon as he arrived, the commando unit was disbanded as many felt the tactics of the unit provided too little a return at too high a cost. But Stirling thought otherwise. He would take it upon himself to create the force to help win the war in the most spectacular manner possible. To say that the British military bureaucracy in 1941 was rigid is an understatement. Stirling knew that the junior class of officers who valued form rather than merit would never approve his idea. As a result, as only a man of his character would do, he broke into the British Middle East headquarters to pitch his plan directly to the high command. When the guards discovered him sneaking in, they gave chase and as a result, he entered the first office he came upon. Unfortunately, the man that occupied that office was none other than the instructor who previously tried to throw him out of the military. The instructor screamed for the guards and in a hurry, Stirling entered the next office he came upon which just so happened to be the deputy commander of the Middle East, General Richie. 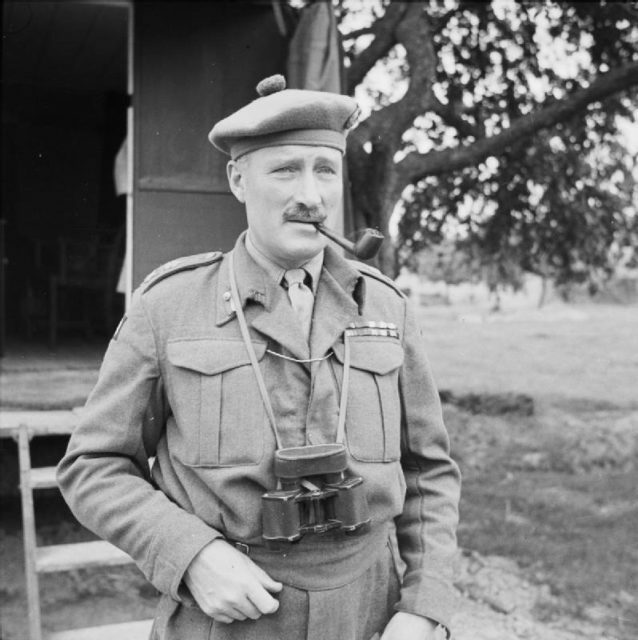 General Sir Neil Ritchie, shown here in 1944. Although taken aback by Sterling’s unorthodox entry, General Richie read his plan and thought it had merit. Stirling was given the task to raise a force of 60+ men who would fight behind enemy lines and cause maximum damage for minimum cost. To raise such a crew of misfits, Stirling would seek those who were frequently under military discipline but displayed a strong heart for action. He would gather his men, but would still not win any friends with the Middle East Command bureaucracy. And while they attempted to delay the supply of his unit, David Stirling made it his unit’s first mission to steal what they needed to win the war. Famously raiding a New Zealand military camp for everything but the kitchen sink, they established their base and began training on their own. After approval from General Aucheleck, his newly formed Special Air Service was given the task of parachuting behind enemy lines and destroying German aircraft in advance of the British offensive, Operation Crusader. SAS men in Italy, 1944. An unfortunate desert storm would turn this jump into a disaster in which over 40 of his 60 or so men were lost. But turning misfortune into favor, David Stirling realized that utilizing the British long-range desert group that was designated as their Operation Crusader extract was a better method of entry than parachuting. 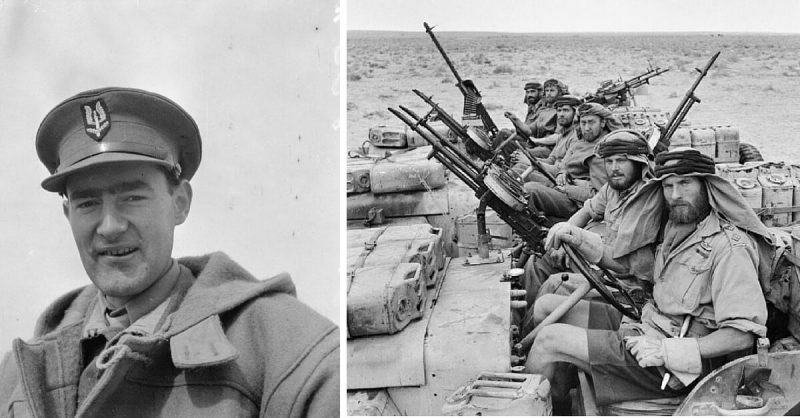 With this newfound method of entry behind enemy lines, David Stirling and his newly formed SAS would wreak havoc on the German and Italian positions in North Africa. By January 1943, Stirling’s men had destroyed over 250 aircraft on the ground as well as many other supply positions and enemy personnel. Through his own initiative and his disdain for the rules of traditional warfare, he proved that a small force of elite warriors could exact a heavy toll on the enemy with little risk to the Allies. Unfortunately, in 1943, these raids behind enemy lines would lead to Stirling’s capture by the Germans. Although he escaped, he was subsequently re-captured by the Italians, who took great delight in the embarrassment this caused to their German allies. In fitting fashion, he made multiple escape attempts that eventually led to him being imprisoned at the escape-proof Colditz Castle for the remainder of the war. 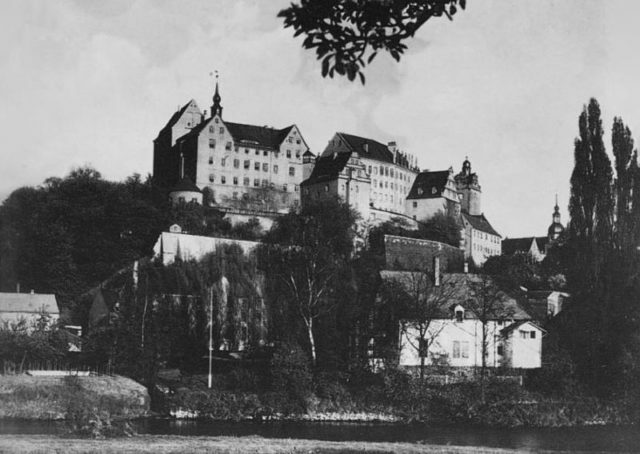 Colditz Castle in April of 1945. Had Stirling never broken the rules and thumbed his nose at traditional British military hierarchy, the SAS may have never existed. British General Montgomery would go on to describe Stirling as “mad, simply mad.” But it would take such a demeanor to conduct such missions and while today’s British SAS guard all secrets closely, this is one story they believe should always be told.